The only surviving relative of Bishop George Bell has called for the Archbishop of Canterbury to resign as she says she is “determined” to clear his name before her death. Bishop Bell’s niece Barbara Whitley, 93, said she was left feeling “very shaky” when the Carlile review into the Church’s handling of abuse allegations against Bell came out last week. Lord Carlile found that the Church was wrong to publicly name Belland the former Bishop of Chichester had been “hung out to dry” by leaders who were too focused on protecting the Church’s reputation. The Archbishop, Justin Welby, was in post when the Church apologised for Bell’s alleged abuse in 2015. Responding to the report he apologised only “for the failures of the process” and pointed out that Bell, while regarded by many as a hero for his work against Nazism, was “accused of great wickedness”. Mrs Whitley, who lives in a care home, told the BBC that the report, and the Archbishop’s response, made her “really very down”. “I’m absolutely determined to get this clear before I die. You know, he’s a blood relation. And I know he’s a good man. And I know this sort of thing didn’t ever happen,” she said. Asked if the Archbishop should resign, she said he should. Last week Bell’s friends and supporters criticised the Archbishop for his response. Dr Ruth Hildebrandt Grayson, the daughter of Bishop Bell’s friend Franz Hildebrandt, said Bishop Bell’s family deserved a personal apology from the Archbishop and the Bishop of Chichester. “The Church can’t have its cake and eat it. Either he is innocent, in which case they must apologise, or he is guilty, which they can’t prove, and the report makes clear that they have not proved,” she told this newspaper. The Church wrote to Mrs Whitley last week to apologise for the pain caused to her and her family. Lord Carlile also said the Archbishop’s comments were “very disappointing”. 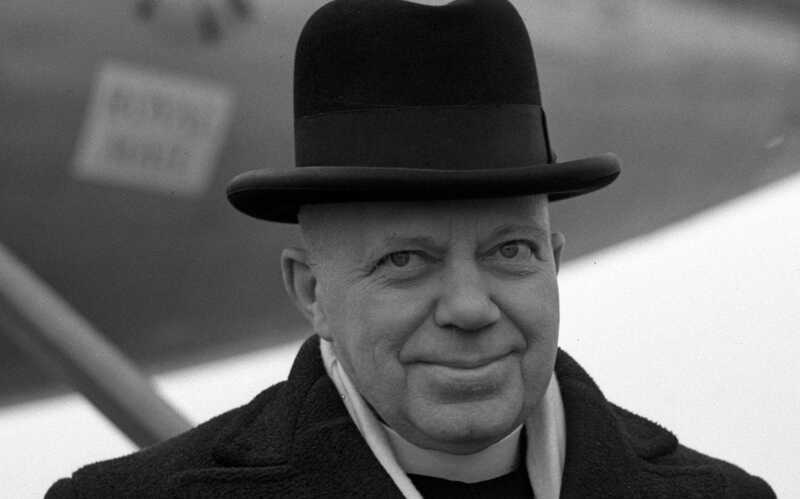 Bishop Bell, who died in 1958, was accused by a woman known as “Carol” of sexually abusing her when she was between five and eight years old. She first came forward in 1995 and wrote to the Church again in 2012 and 2013 to reiterate her complaint. Lord Carlile did not make a finding on whether the allegations were true or false but said a case against Bell would have been unlikely to succeed in court. The Church also refused to accept one of Lord Carlile’s recommendations, that alleged abusers should not be publicly named where the allegations are disputed, unless facts are found to substantiate them, and naming them is deemed to be in the public interest. This entry was posted in Bishop George Bell and tagged Archbishop of Canterbury Justin Welby, Barbara Whitley. Aged 92. Niece of Bishop Bell, Daily Telegraph, George Bell Bishop of Chichester, Lord Carlile, Olivia Rudgard on December 22, 2017 by richardwsymonds37.